There is no doubt that DC is a romantic city. Some may even call it the capital city of romance. The iconic architecture, world-class dining, scenic views, and plethora of young, single adults are just a few factors that make our city full of endless date possibilities. While there are a million options for date night around the city, first dates can be hard to plan. The pressure of wanting to impress your date, make a connection, and do something exciting can make picking the perfect first date tricky. Lucky for you, we’ve got some can’t-fail first date ideas that’ll make your first date one to remember. One of DC’s newest and most popular waterfront spots, you’ve, obviously, heard of the Wharf, and when it comes to dating, you’ll find plenty of things to make your first date a success. Amazing restaurants, cool bars, and great music are just a few of the highlights of these scenic destination. Whether you want to split a Shake Shack milkshake or dine at Michelin-star restaurant Del Mar, there are over 20 different options for you to choose from. If you go for the nightlife, you can catch big name music artists at The Anthem or check out the many new bars with your potential bae. If you’re looking for some water activities, head over to the Wharf Boathouse where you can rent kayaks and paddleboards to add some adventure to your date. 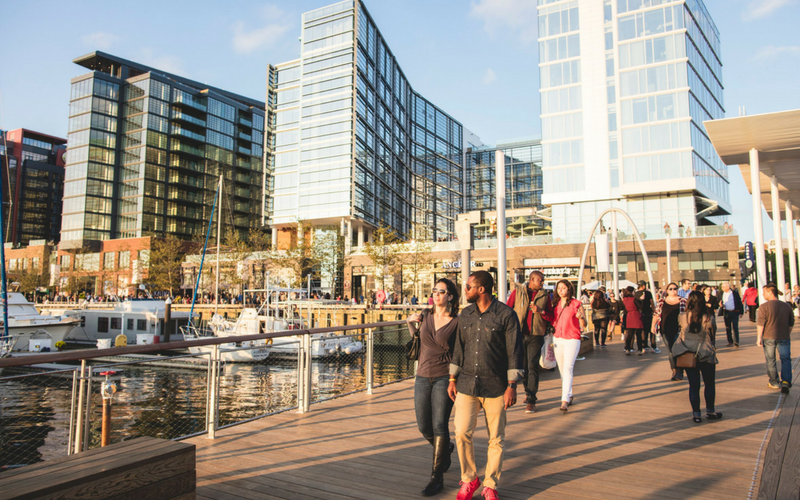 #FrayLife Tip: The Southwest Waterfront hosts unique events throughout the year. Check our their calendar for more details on all the upcoming events! Pack a picnic blanket, your favorite beverage and head across the Potomac River to Gravelly Point (off northbound GW Parkway in VA). This lesser known grassy knoll is the perfect spot to impress your date. 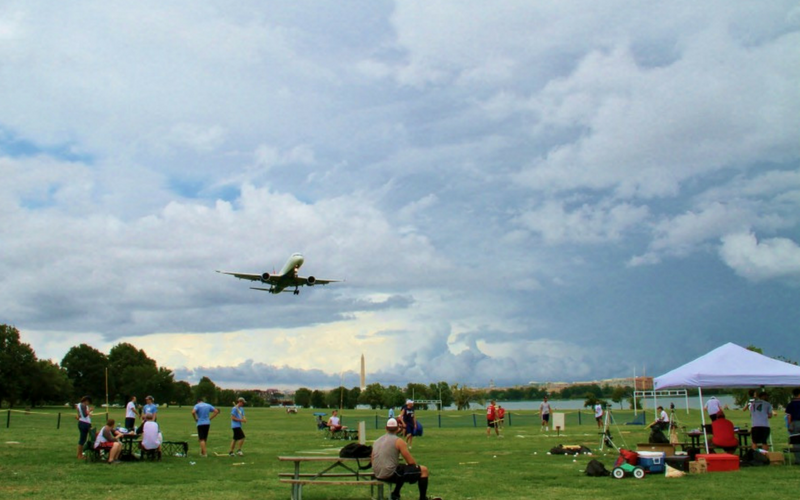 Watch planes take off and land into Reagan National Airport literally right over your head. There are also awesome views of DC and walking and bike paths that follow along the river! 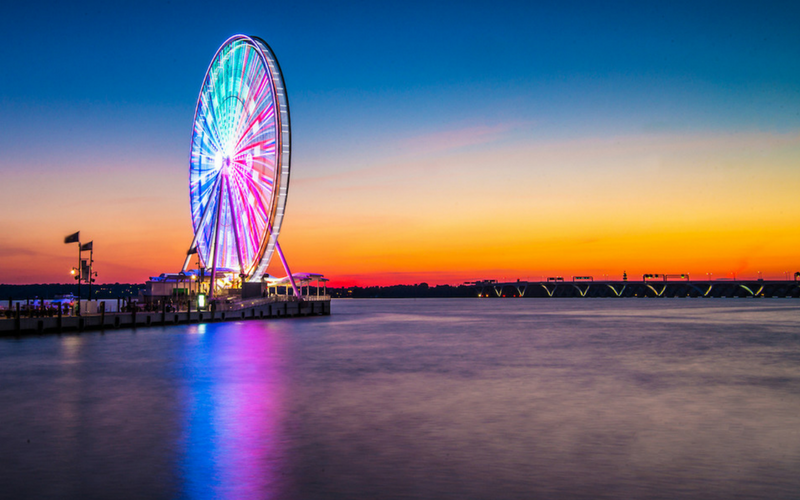 Soar over 100 feet above National Harbor and the Potomac waterfront on the Capital Wheel. This ride gives you unbeatable views of all the DC area (and the perfect movie-like spot for that first date kiss😉). There is also a huge variety of restaurants so you and bae will have plenty of options to choose from. #FrayLife Tip: Ditch the car and take the water taxi straight to the National Harbor Dock! 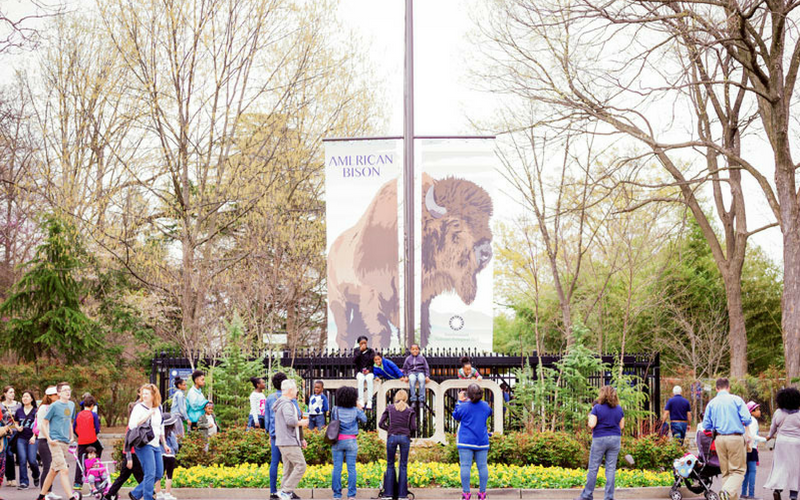 With hundreds of adorable animals and cool new exhibits, there’s a reason thousands of first dates take place at the National Zoo. Impress your date by showing off your love and compassion for animals. The Amazonian exhibit, Asia trail, Great Cats exhibit, and Elephant trails are just some of the amazing things you can see. Make sure you stop and visit the insanely cute 9-week old western lowland gorilla, Moke! Oh, and did we mention that it’s totally free? Cheap dates aren’t always a bad thing! #FrayLife Tip: While there are many options for food and sweet treats around the Zoo, one of the best is the Panda Overlook. Enjoy asian inspired food while watching the cute panda’s play! While we may not be the “city that never sleeps,” DC nights are still full of scenic date night ideas. 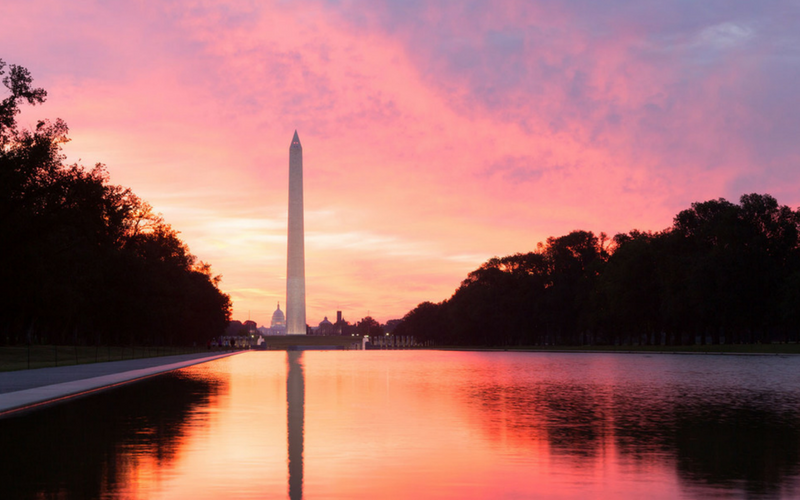 Summer nights in DC are especially spectacular, with colorful sunsets and amazing views of the monuments. An evening stroll around the national mall is both peaceful and romantic (while also being free). With all the monuments light up, the mall is a dreamy and scenic first date spot. Grab some ice cream and get cozy with bae along the tidal basin and admire the Lincoln, Jefferson and MLK Jr memorials shining in the night. #FrayLife Tip: Take in the sunset together while watching all the city lights slowly come alive along the Georgetown Cliffs, near the key bridge. For some more adventure, rent paddle boats or kayaks! 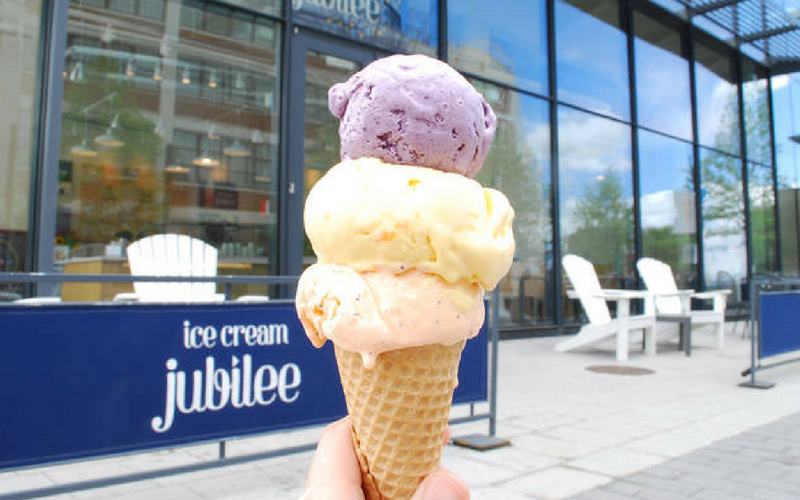 Named DC’s Best Ice Cream year after year and one of America’s favorite ice cream shops, Ice Cream Jubilee is loved by tourists and locals. Each flavor is unique and handcrafted with local, all natural ingredients. They serve scoops, milkshakes, sundaes, cookies, ice cream cakes, and even vegan sorbets! With over 45 flavors, including seasonal summer flavors like banana bourbon caramel, matcha green tea or mango habanero, these sweet treats are sure to leave you smiling! #FrayLife Tip: Try their summer best-selling speciality, Cookies and Cookie Dough. They combine Oreo cookies, homemade chocolate chip cookie dough ice cream and place it on top of a warm chocolate chip cookie. The perfect treat to split! 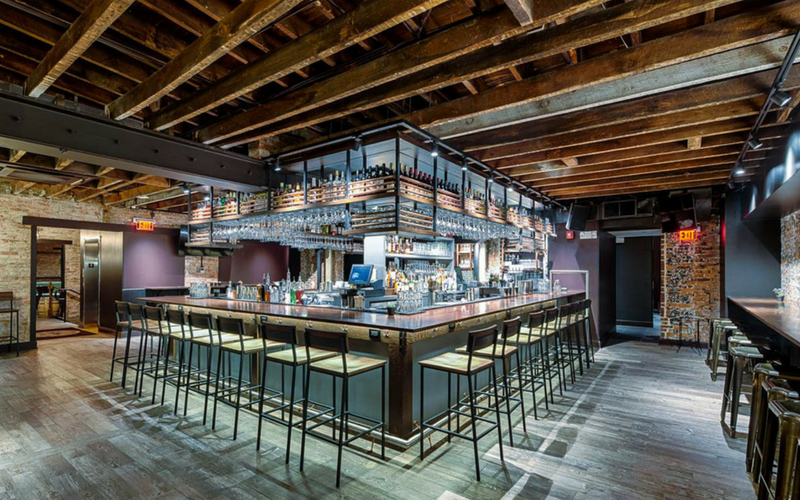 With endless options of great bars and restaurants along U Street, District Distilling Company is a unique first date spot. While you can opt to drink at the bar or sit down and dine, taking their tour makes for an exciting date. For only $10, you can check out their homegrown still, learn about their distilling process and finish with a tasting of their award winning spirits. Afterwards, head upstairs to enjoy chef Justin Bittner’s mouthwatering entrees! #FrayLife Tip: Read even more about District Winery from when we visited! This gourmet food hall has can’t-miss food experiences that you and your date will love. Split a unique drink at Buffalo and Bergen. Their Lox’d and Loaded, the local favorite, is a Bloody Mary topped with an everything bagel sandwich. Enjoy some fresh seafood at Poke Bowl District Fishwife or throw back some oysters at Rappahannock Oyster Bar. Grab some upscale creole comfort food at Puddin’ (their shrimp and grits are legendary). Looking for a taco? TaKorean puts a delicious asian spin on the classic taco that’ll satisfy your taste buds. Lastly, indulge in some ooey gooey cheeses while becoming cheese snobs at Righteous Cheese Bar. 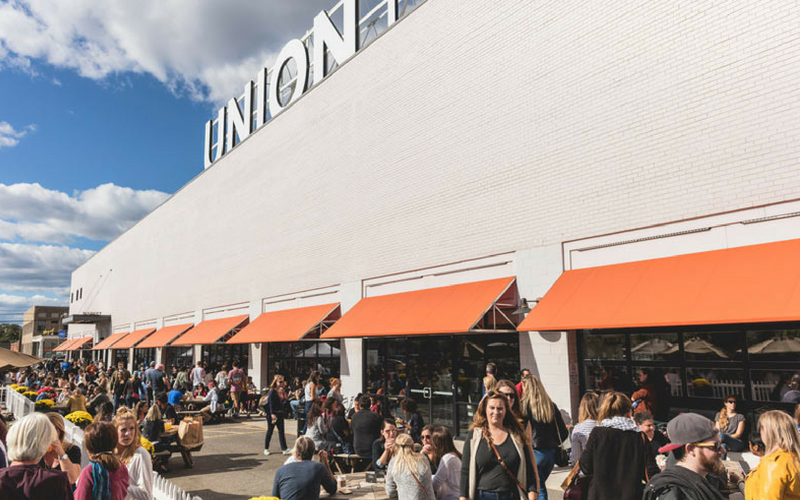 Union Market is a great spot to experience new things with your date and create a memorable day. 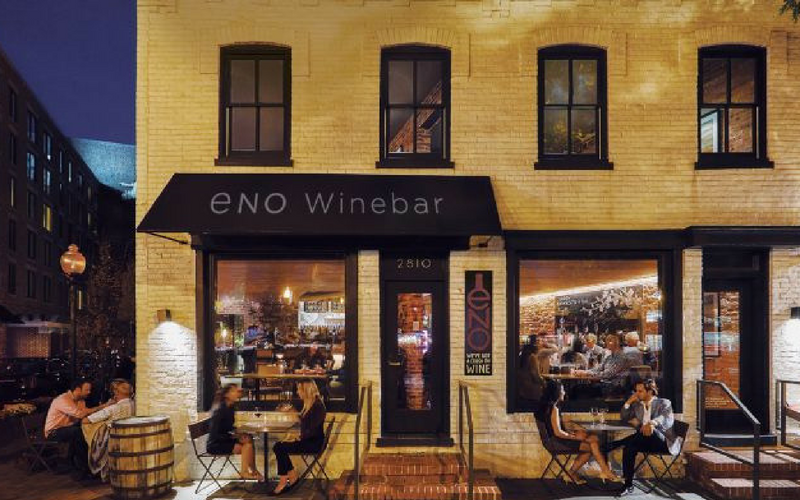 This two-story wine bar, right off of the lively M street, is an intimate and classy spot to have an impressive first date. They offer a flight of three different wines paired with cheeses from around the world, charcuterie, and chocolates (romantic and sophisticated AF). Where is your favorite place in DC to impress a first-date? Show us on social by tagging your PG first date pics with #FrayLife. Speaking of dating, did you know hundreds of people have met their future husband or wife playing kickball or another social sport? We have plenty of leagues open now for you to check out if you’re hoping to be the next! Want even more dating options? We have multiple speed dating events coming up that will be sure the break the ice! Check out the dates below.